Moisture management texture is designed to optimize the breathable and absorption properties that keep you dry and comfortable. The inner layer will quickly absorb the sweat from your body, enabling movement of moisture from your skin to fabric surface where evaporation takes place quicky and hence keep you dry. 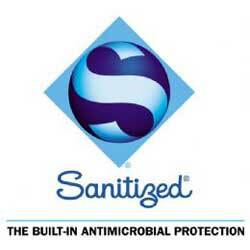 The sanitized Quality Seal is a worldwide recognized symbol for antimicrobial protection. 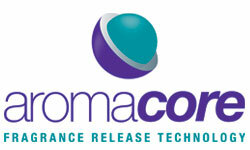 Humans and animals are protected by Nature against excessive microbial infestation. Textile, however, without protection are exposed to microbial infestation. Sanitized provides durable protection against the increase of bacteria, yeasts and fungi on textile, thus ensuring your personal well being and maximum comfort. Bacteria convert perspiration into unpleasant smelling substances. Sanitized prevents the increase of bacteria and protects your textiles against offensive odours, on the principle of a deodorant. (b) the antioxidants include para-phenylenediamine(PPD) & Butylated hydroxytoulene(BHT), the oxides of nitrogen is the product of combustion of petrol diesel etc…. How to Protect Textiles from Phonolic Yellowing? 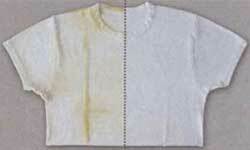 We apply special textile finishing with anti-phenolic yellowing agents. 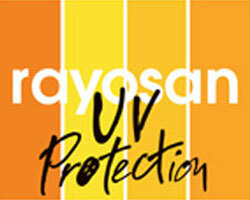 Sun Protection Factor(SPF) permits the comparison of the protective properties of various materials. 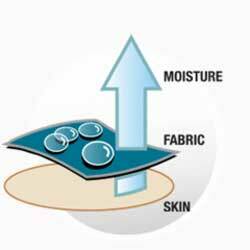 Textile finished with UV protection block a large part of UV rays that are responsible for harmful effects on skin. The application aroma granule through latest micro-encapsulation technology give extremely pleasant fragrance on cotton or cotton mix fabrics. The products applied with Aroma Granules can give off various kinds of perfume through rubbing with hands or scrubbing rather strongly. Bouquet, Comomile, Freesia, Jasmine, Lavender, Primavera, Rose, Rosemary, Wildflowers. Aloe Down, Baby, Chanel, Chocolate, Eucalyptus, Figi, Forest, Peppermit, Pine, Sandalwood, Shake me Fresh, Vanilla.